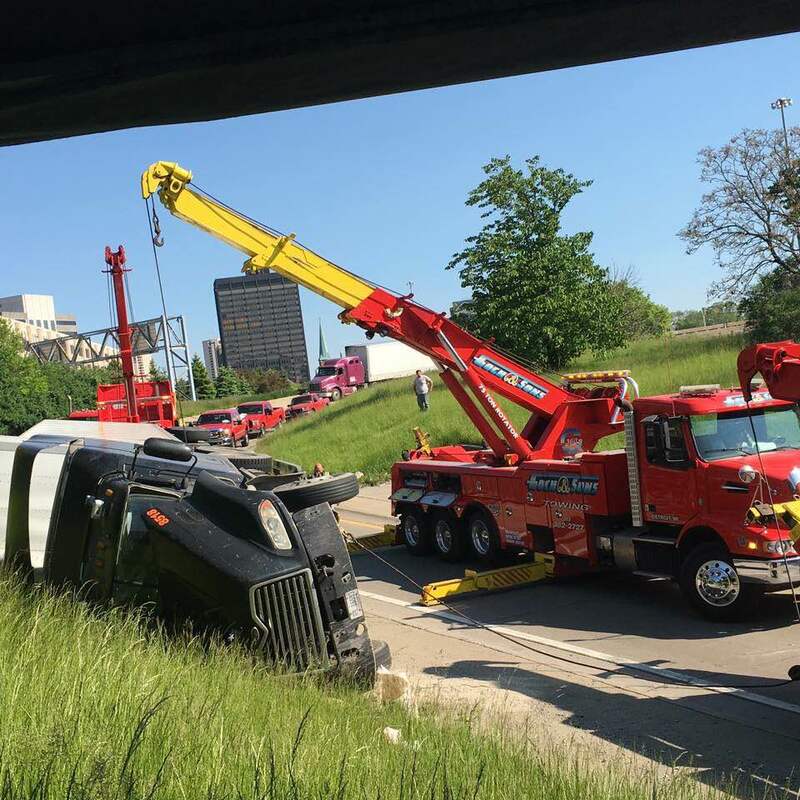 The most common service we provide is towing for automobile accidents. 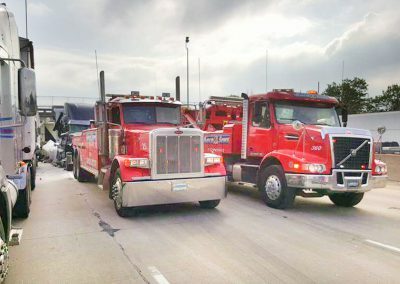 When an accident occurs, it’s essential to remove vehicles from roads quickly, as gawkers and other traffic can cause backups and other accidents. 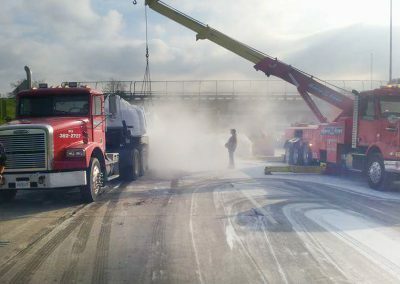 Along with towing services after accidents, we offer post-accident street sweeping and cleanup to ensure roadways are safe and free of hazards. 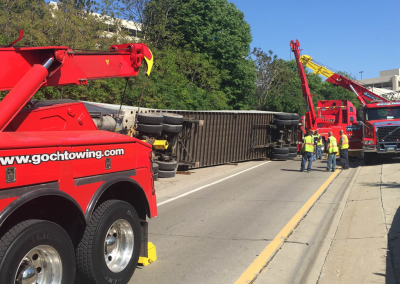 Goch & Son’s Towing has the proper equipment and expert professionals needed to deal with semi-truck roll overs as well. 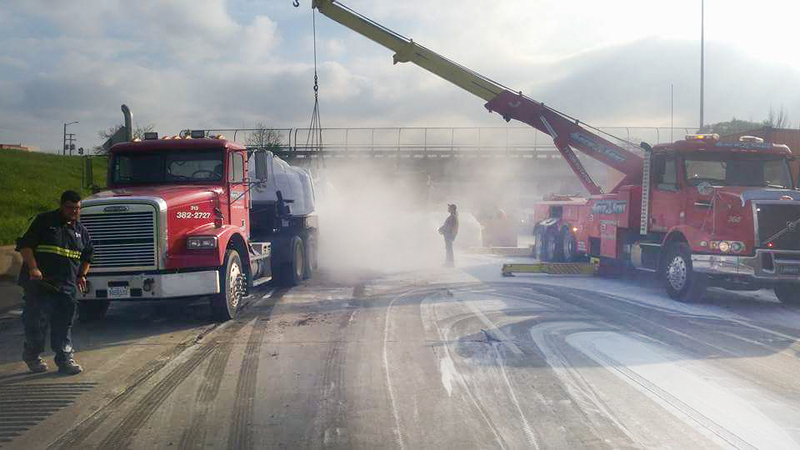 Many times with a semi-truck accident, there can be fuel spills that require cleanup. 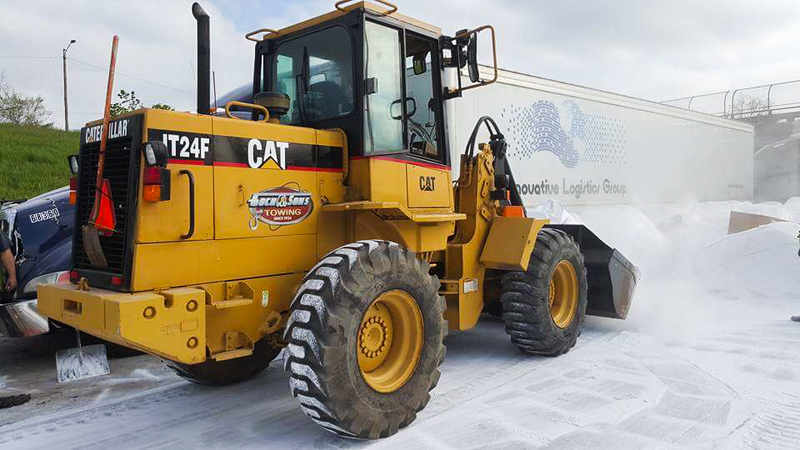 We are trained to handle different types of fuels ranging from inside the gas tank to fuels being transported on board for delivery. 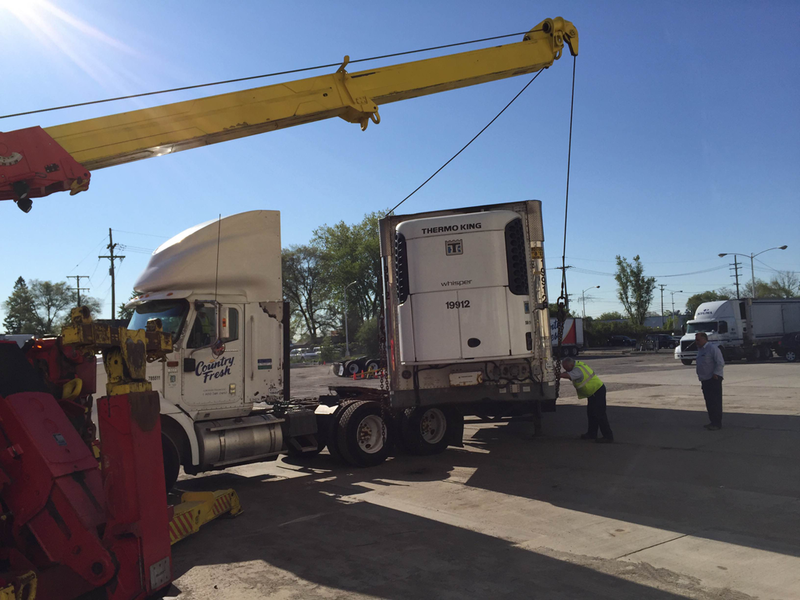 We also offer heavy duty towing for trucks and larger vehicles. If your car has been stolen, Goch & Son’s Towing will tow your stolen vehicle to the police station for an evidence check, helping police and other agencies recover vehicles and release them back to the proper owners. 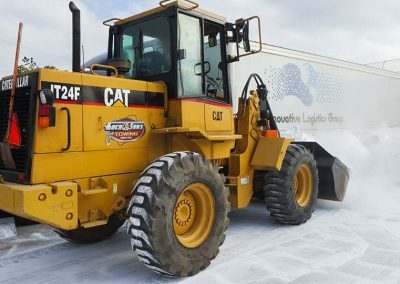 Special techniques and equipment must be used to deal with stolen vehicles in order to preserve any evidence and to clear the vehicle from the location found. 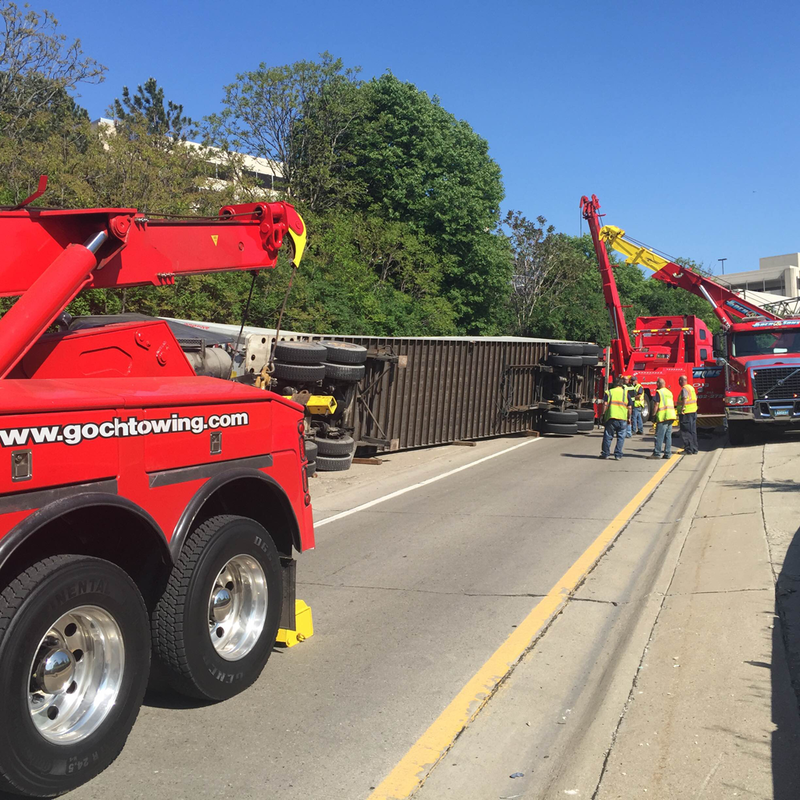 No matter what type of towing, fuel spill, or accident cleanup you may need, contact Goch & Son’s Towing today. 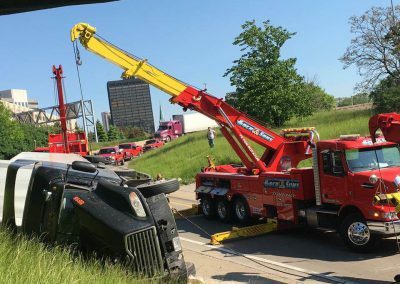 Goch & Son’s Towing offers police and court officer services within the state of Michigan in addition to our other towing services. 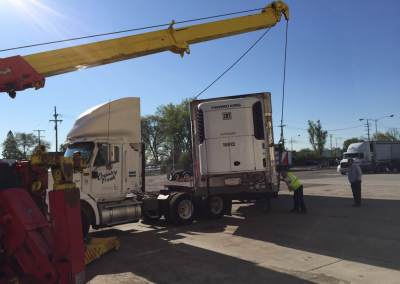 We are contracted to work with the Michigan state police, Federal Railroad Police, and the FBI. 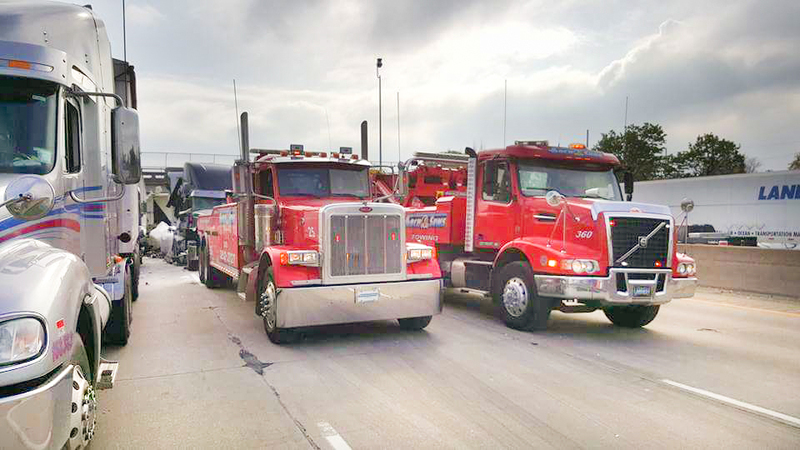 When vehicles need removed due to accidents, road blockage, illegal parking, or are claimed as evidence, we offer 24 hour service for towing and wreckage cleanup.